Pie, pie, and more pie. Here in Wisconsin, food isn’t just sustenance. It’s a community event – an excuse to fire up the Weber and crack open a beer, to lounge on the deck and enjoy burgers and brats with the neighbors. When we don’t feel like hitting the town for a show or the big game, stopping by one of the Valley’s 300+ eateries is a low-key way to spend a weekend evening. Considering its residents’ food enthusiasm, it’s only natural that Eau Claire host a festival centered on good grub and camaraderie: Taste of the Valley. Back for its second year after a short hiatus, the day-long event will fill Phoenix Park with vendors from local restaurants. 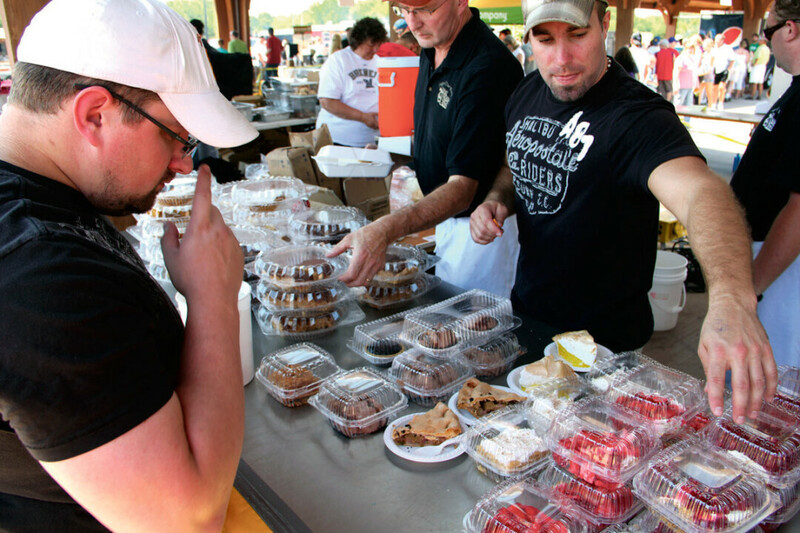 From cheese pizza to candies and bakery, Taste of the Valley caters to eaters of all ages. Its vendors number 15 and counting, and they’ll be featuring favorite menu items for hungry festival-goers. Between bites, visitors can head to the amphitheater for a special gaming event. Families can check out the Kids Zone where their little ones can participate in fun activities. Mark your calendars for June 4 (and keep your evening open for your inevitable food coma). Admission is free, and food and drink tickets are $1. So put down the tongs, grab your neighbors and friends, and head to Phoenix Park for the gustatory extravaganza. The whole event benefits the Chippewa Valley After Hours Rotary Club. Don’t forget to bring an empty stomach!